Wouldn’t it be cool if caretakers could monitor the medication intake of their elderly relatives, no matter where they are? Wouldn’t it be even cooler if that information was tracked in a web application that could provide medical insight to doctors and nurses? Introducing MedMinder, a smart pillbox designed to make monitoring medication compliance easier for the caretakers of elderly loved ones. Eldercare is also a growing industry: approximately 10,000 Baby Boomers will turn 65 today– and every day for the next 19 years. Most of those people will be on daily medication. In fact, 46% of them will take between four and nine pills a day. Within this group, medication noncompliance, when seniors don’t take doses as prescribed, is a serious issue. The Department of Health and Human Services estimates that 55 percent of the elderly are consistently medication non-compliant. It can be difficult for caretakers to provide adequate care while their own personal and professional lives. 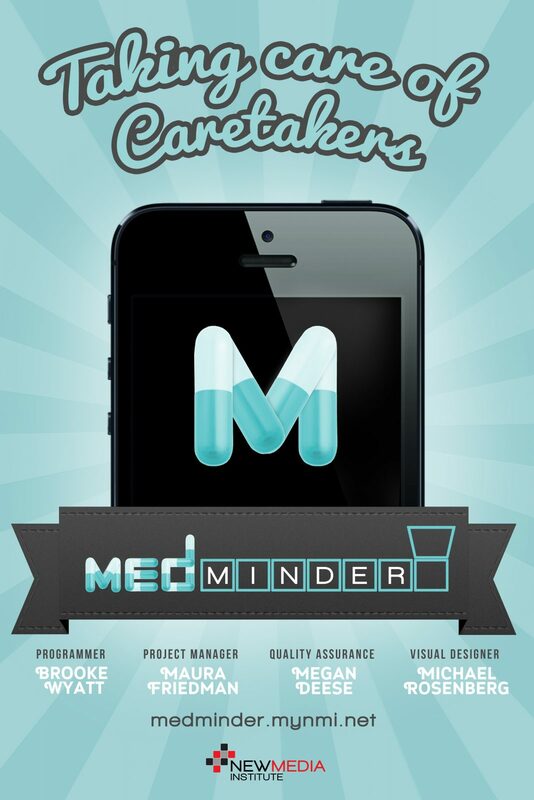 MedMinder addresses this issue and helps keep caretakers more aware of medication adherence. The MedMinder system includes a “smart” day-of-the week pillbox that reads each time it is opened for medication. That information is then forwarded to a companion web application, which serves both to record dosage adherence and to send a notification directly to the caretaker listed in the application. The purpose of MedMinder is to provide feedback and insight on medication compliance through an integrated structure focused on streamlining existing habits– elder dosing and caretaker check-ins– rather than creating new ones.